As a Canbassador, I receive a couple shipments of fresh stone fruit from Washington State to preserve. Over the past few years I have made a lot of things with peaches including Peach Ketchup and Ginger Peach Preserves. 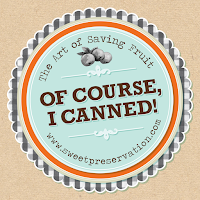 While there are some good ideas on the SweetPreservation website, in the comments section of my Can-It-Forward giveaway post I received even more fantastic suggestions for canning peaches including peach preserves, peach butter, peach salsa, peach mostarda, brandied peaches, peach pie filling, and a jam from Piemonte with peaches, amaretti and cocoa powder. That should keep me inspired for years to come! 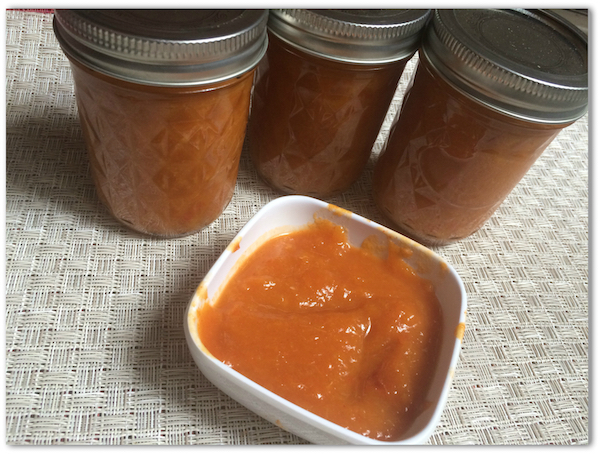 This year I ended up canning some peaches in a light syrup, and I also made Peach Barbecue Sauce. My recipe was inspired by one I found online, Zesty Peach Barbecue Sauce, but I made some changes and am pleased with the results. Barbecue sauce is a very easy thing to make and easy to can. You can and should taste it before you can it and adjust the seasonings as you see fit. 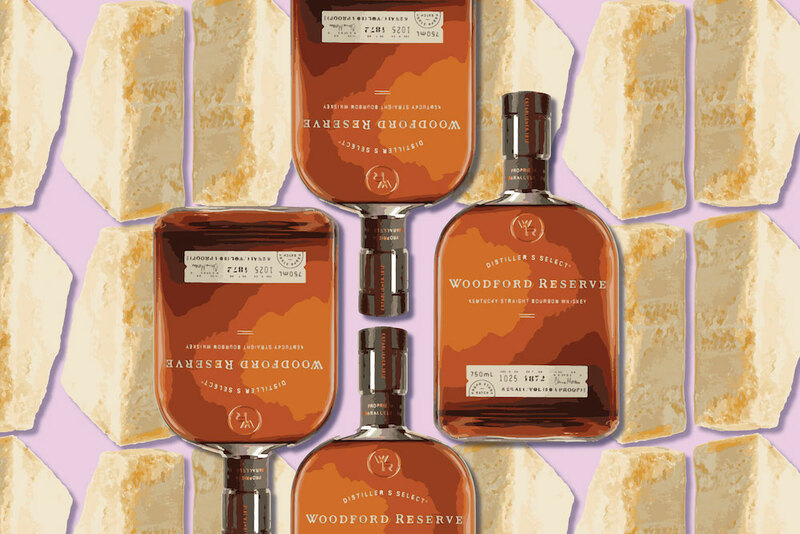 You can make it spicy, smoky, boozy--you are only limited by your own imagination. The color may throw you off, but try a taste with your eyes closed, it definitely has the tang of barbecue sauce. I'd recommend using it on pork, chicken or even ribs. I am a big fan of small batch canning and this recipe made just a little bit over four half pint jars. That's enough for me and enough for me to share. 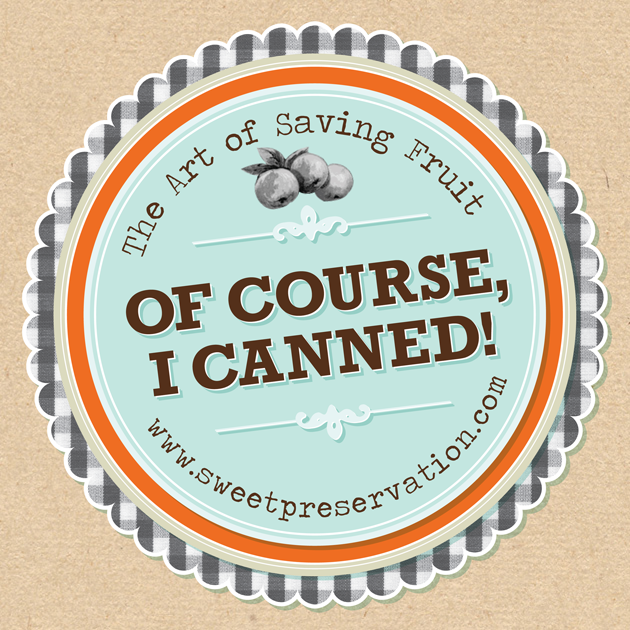 The ability to share something you made from scratch is one of the best things about canning and preserving. Heat jars in simmering water in a hot water bath canner or large pot. Combine all ingredients in a large pot. Bring to a boil then reduce heat and simmer, stirring frequently, until mixture thickens about 20 minutes. Puree using a hand blender or in a blender. Taste for seasonings and add more ginger or other seasonings as you like, and continue cooking until the sauce is the desired consistency. Dip lids and bands in the water briefly. Carefully ladle the hot sauce into the prepared hot jars leaving 1/2 inch headspace. Wipe rims and center hot lid on jar. Apply band and adjust until fit is fingertip tight. Place the jars back in the boiling water making sure the water covers the jars by an inch and process for 15 minutes (adjust for altitude if necessary). Remove jars and let cool. Check lids for seal after 24 hours.